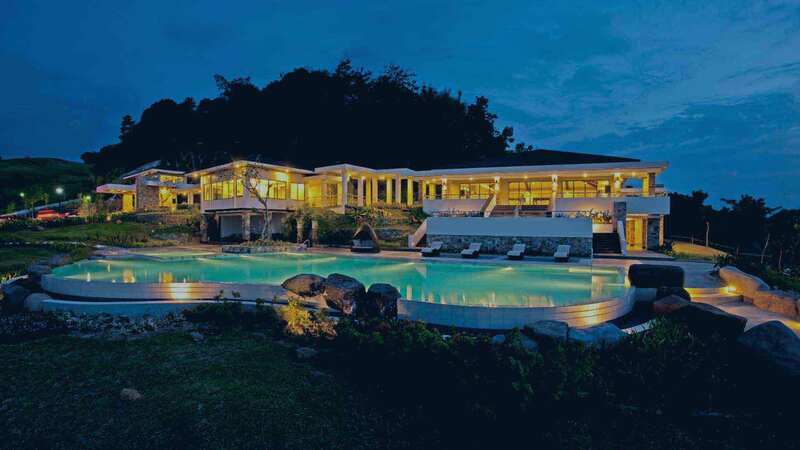 Alegria Hills is a private, luxurious residential property in Indahag, Cagayan de Oro City Misamis Oriental, one of the quickly developing regions in the country. The property is developed by Ayala Land Premier, a major player in the Philippine real estate. In Spanish term, “Alegria” means “joy and merriment.” This residence is built for the happiness of its residents indeed. It is a prime property designed and built with everything that you’d need for a peaceful and harmonious living. It is a resort-themed residential property lavishly located in a highland plateau. This feature alone can make you feel as if you’re living in a resort, offering a complete view of the Macajalar Bay and the city. There are several units available ranging from one- to two-bedroom houses. You can go for the Premier view, which are lots with either bay or city view, and one can also be adjacent to an open space. For the Prime View, you can have a view of or directly adjacent to a pocket park or an open space. The property can offer your family with an utmost comfort level coupled with top security and serenity that only this developer could offer its premier communities. Ayala Land has been around since 1834 and from then has become one of the best real estate players in the country. It also thrives in the industries of manufacturing, electronics, dealerships, business process outsourcing, overseas real estate investments, and renewable energy sources. Aside from Alegria, the developer is also the masterplanner behind other projects, which include the Montgomery Place (Cagayan de Oro City), One High Street Tower (Taguig City), Santierra Nuvali (Cabuyao City), Riomonte (Santa Rosa City) and Avignon Tower (Makati City), to name some. Buying a piece or two of investment from a prestigious and top developer equals peace of mind and assurance that you’re dealing with the right people for your real estate investment. Alegria Hills is situated in a tropical-inspired property development. It combines plenty of space, high quality materials and aesthetics coming together for a natural feel in a lush environment that invites stress-free days. It offers ready for occupancy units to choose from based on your needs. If you’re a small family, a newlywed, a single professional or someone looking to buy your first real estate investment, the one-bedroom housing unit may be for you. On the other hand, you may opt for the double-bedroom units if you are a part of a growing family or you have a vision of having big family in the future. You may also go for the two-bedroom housing unit if you want a higher reselling or rental price. It is a sounder decision for a higher return on investment for the long haul. The property is the developer’s first development in Mindanao. They succeeded at providing residents with a combination of a little from everything. The property is built with your luxury and pleasure in mind as well. It has a spacious clubhouse, a basketball court, an infinity pool, a social hall, badminton courts and function rooms. All these amenities and facilities, we’ll discuss more in the amenities and facilities section on this page. By getting a property here, you will also be close to everything you need. It is only 10 minutes away from the major business district and the Limketkai Center. That said you could have an enhanced lifestyle as if you’re living in Metro Manila, too, but better. It is much less crowded here versus the country’s capital, meaning less pollution and less crowded space. Aside from enhancing the people’s lives with daily convenience and modern lifestyle features, Alegria Hills in Cagayan de Oro City also keeps families closer to nature. The lots offer 360° view of the mountains, bay and city. With all these said, there is no doubt that investing at Alegria Hills is a wise decision to make as it offers you with complete package. Aside from the spacious fitness areas, the community has its own central park and canyon trails, keeping you closer to the environment and fresh air for a least stressful living! Hire live chat agents for your business websites from Help Desk 24 7. Ayala Land Alegria Hills in Cagayan de Oro, Northern Mindanao, Philippines is a premier House & Lot project available for sale. If you're looking to rent or purchase Alegria Hills, then check here first. We have full details of Alegria Hills updated regularly as well as everything you need to know about the availing and booking process, broken down into stages that includes selecting a unit, choosing a payment plan and buying your dream home at the right price. For price list, free site tripping or showroom visit, personalized service, model house, unit plans, floor plans, payment terms, CHAT LIVE with an agent 24x7. We are Remax Perfect Homes. Always only buy from PRC licensed Real Estate Brokers and Agents. The city is one of the fast rising economies among cities in the entire region (Northern Mindanao Region) and perhaps among the nation's cities. Here, more BPO centers, multinationals and various industries are relocating because of the availability of skilled manpower, professionals and improving peace and order situation. The Alegria Hills is only 6km away from Cagayan de Oro's Business and Academic Districts where giant malls, several stand-alone stores, banks, car dealers (more than a dozen imported brands have dealership), several business areas and schools, universities, colleges and other academic institutions are located. Cagayan de Oro boasts of being the economic center of Northern Mindanao (Region 10) where governance by the local government unit (LGU) with its more than 600,000 inhabitants is considered one of the most efficient in the country. Logistics and other business hubs within the city are thriving and fast-becoming more competitive among the cities in the entire archipelago. Cagayan de Oro City is host to various modern infrastructures that are truly conducive for dynamic economic growth such as the Macabalan Baseport, Laguindingan Airport and the Mindanao Container Terminal (MCT). This terminal facilitates the transport and cost-effective movement of container cargoes to and from Manila and Cebu and other Visayas and Mindanao cities. The ascension into the presidency by Pres. Rodrigo Duterte, a native of Mindanao, is seen to have a big impact in the more robust economic growth in the whole island. As the man had promised during his campaign, the island would be the next economic tiger outside of "imperial' Manila in terms of increase infrastructure projects. The real estate (mainly residential) industry will surely enjoy a big slice of the pie.